Black and grey tattoos are generally believed to have originated within prison systems, where inmates had no access to colored ink. The technique was brought to mainstream tattoo shops by Jack Rudy and his mentor, Charlie Cartwright. 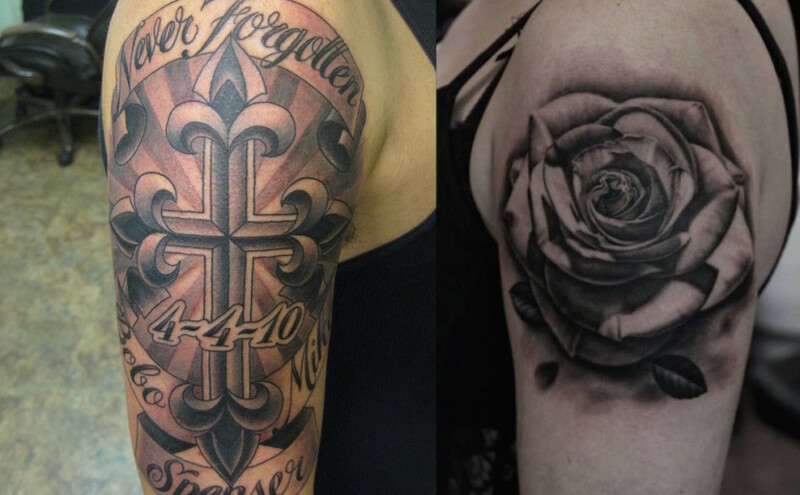 They perfected a single-needle tattoo machine to produce highly realistic shading in their tattoo designs. This technique works well for portraiture.